Mecca, the sacred city in Saudi Arabia, houses the holiest site in Islam. The Kaba, the ancient house of God, is the geographical and historical center of the Muslim worldview. 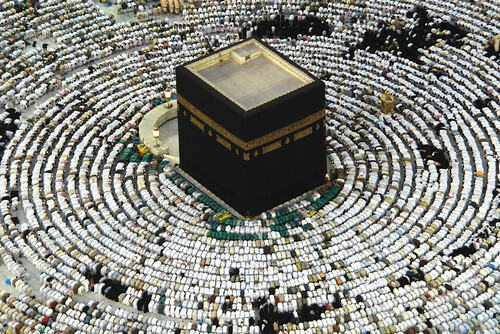 Five times a day, Muslims around the world face this holy site, called the qibla, in prayer. Once a year, pilgrims from all over the world, travel to the Kaba to perform the hajj. The focus of this post, the first in a series on important sites, is the Kaba.